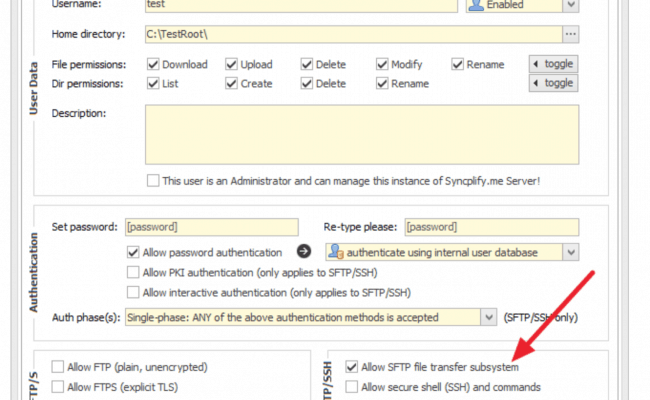 Syncplify.me is One of the Better SFTP server packages that we’ve recommended in the past. For the Security Minded users, this comes with their Syncplify.me Protector, a Unique intrusion system that can Detect External Attacks. It is FREE for personal use and Priced Competitively at the corporate level. This tool is Powerful, Secure, and very Easy to configure. Syncplify.me Protector – Identifies attacks with its artificial intelligence core which then blacklists hackers before they break into your SFTP server. From the Administrator Account, you can access real time data related to client sessions and transfer speeds. Custom IP and Network Restrictions can be added as well as Authentication Rules. 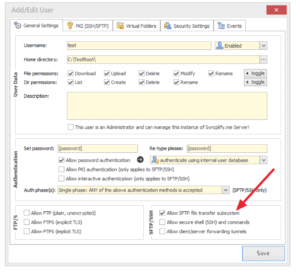 PKI Authentication with Multiple Key-Pairs per User. FREE for Personal Use Including Lifetime Updates and Upgrades. Paid Licenses Available for Other Uses.